Below is a simplified Map of the Sintra Cascais Natural Park and its location in relation to Lisbon. 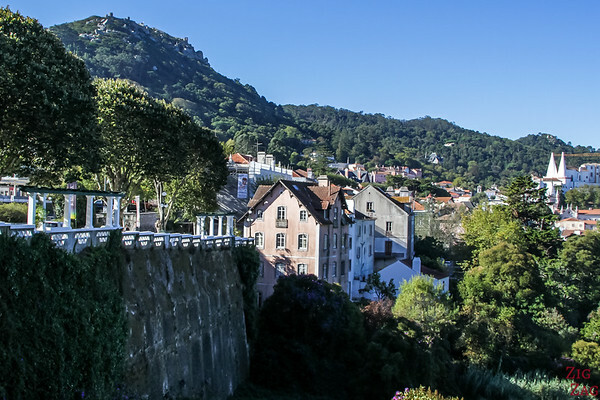 Sintra Town - The highlight of the park is, of course, the town and mountain of Sintra (Serra da Sintra). The whole area is a Unesco listed site. It combined beautiful forest, parks, ruins as well as unbelievable palaces. It is a great day trip from Lisbon, but if you have time, I recommend staying overnight. Cascais & South Coast - Cascais is the most famous resort town in Portugal. Not far from Lisbon, this is where we can find the 'Lisbon Beaches'. Cascais itself is not in the National Park, but it starts to its left. 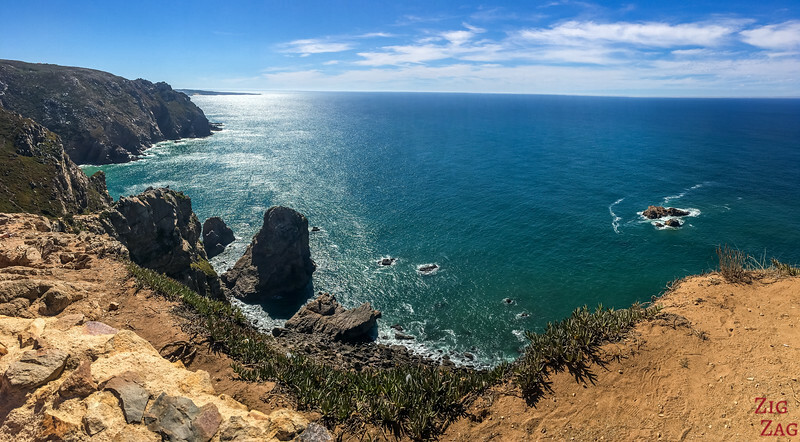 Cabo da Roca - the westermost point of Mainland Europe, how to stunning cliffs and coast line. West coast of Sintra Cascais National Park - amazing beaches of great variety. 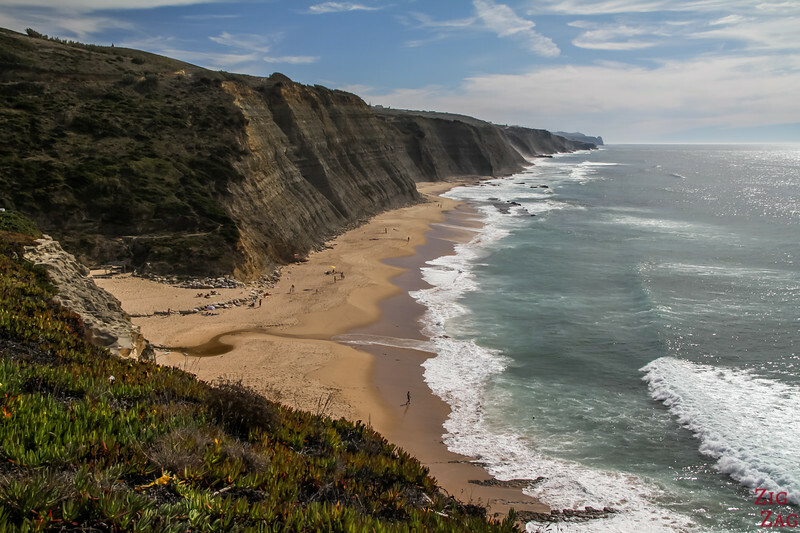 Don't miss Magoito, one of the most beautiful beaches in Portugal. Inland - If you want to avoid the tourists, head inland off the beaten track. 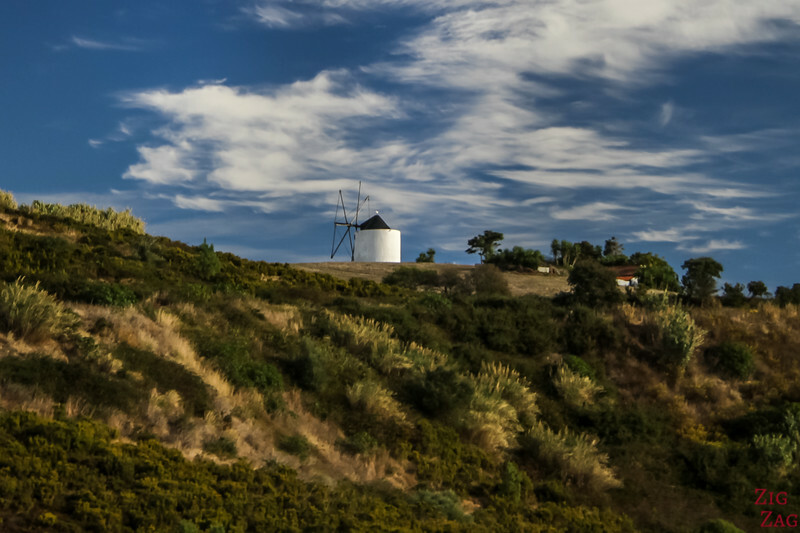 Take your car in those small roads and discover valleys , farms, windmills and abundant wildlife. Sintra is very easy to reach, only 30min from Lisbon. 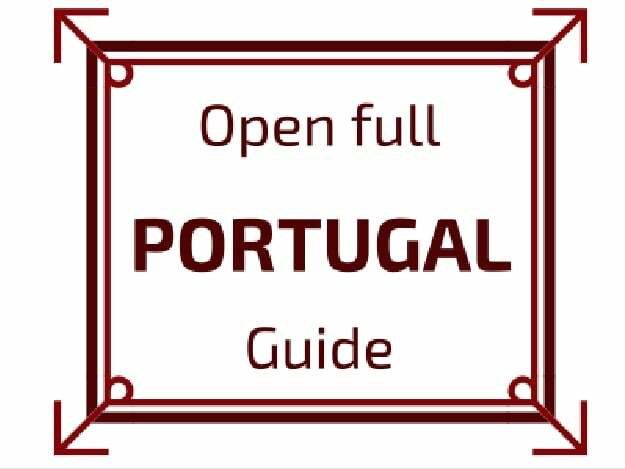 You can visit the region by car OR with the train + hop on hop off bus or via a small group tour from Lisbon (including the coast). 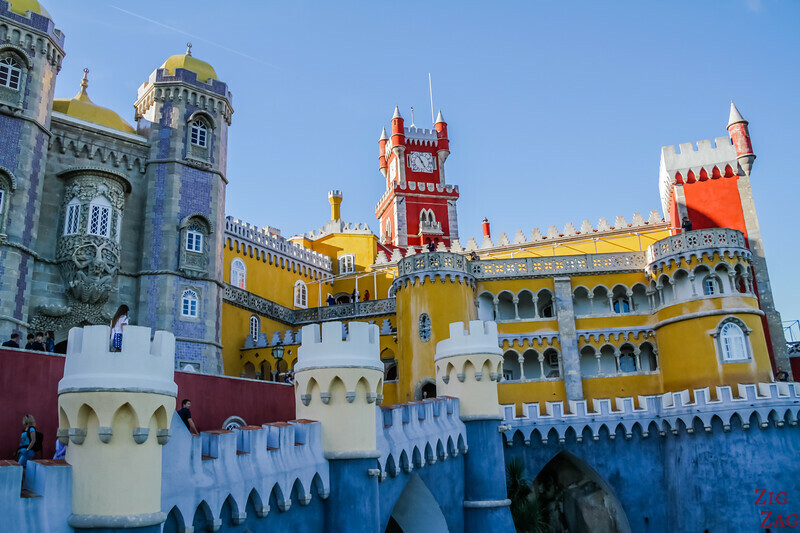 Let's start with the best places to visit in Sintra. 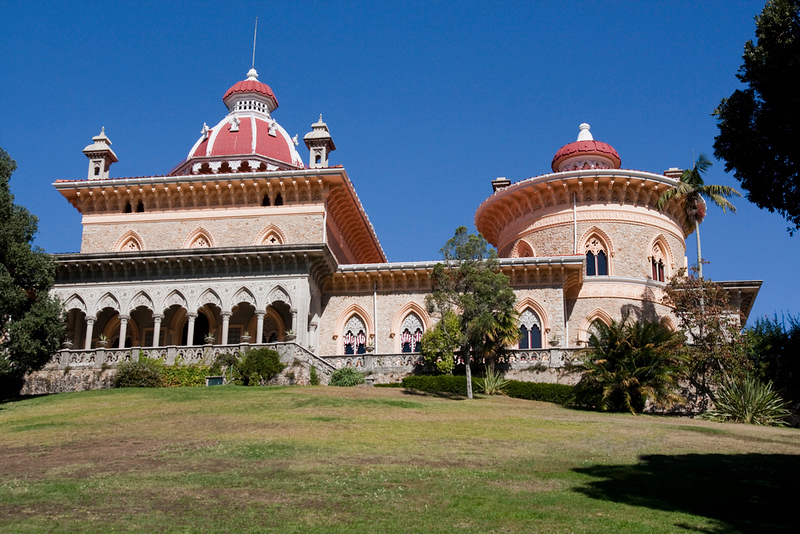 Below are the major Sintra attractions which are part of the Sintra Unesco site, only 30 minutes from Lisbon. 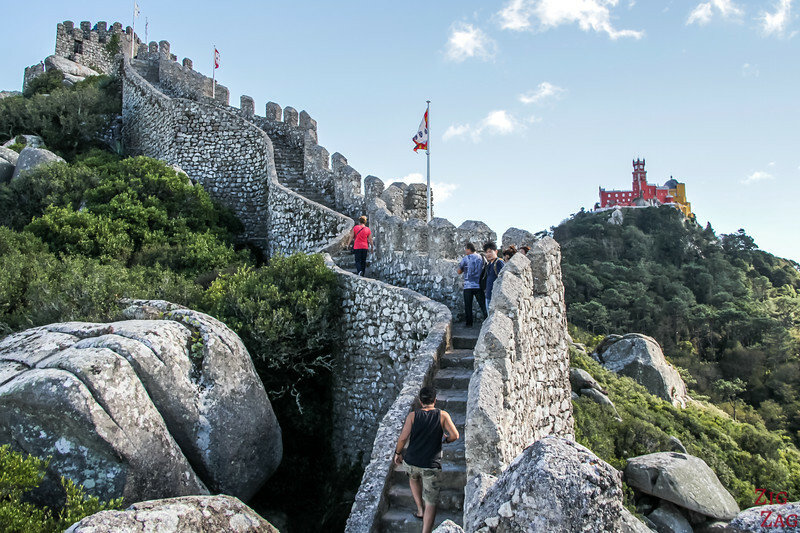 I would only have one day in Sintra I recommend the Pena Palace and the Castle of the moors to see 2 very distinctive ​structure and amazing views of the region. This is one of the most famous buildings in Portugal. This very unique site, full of colors and shapes sits on top of the mountain range. The Pena Palace has been named of the the Seven Wonders of Portugal. The walk between the old and the new city is quite enjoyable with statues and green areas. Take some time to explore the street. 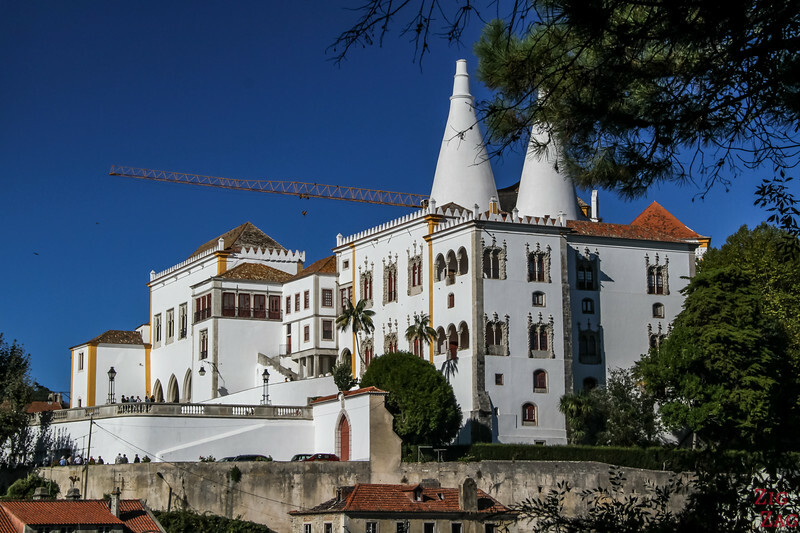 There is much more to see in Sintra! This is the most easily accessed of the Sintra attractions, as it is in the center right before starting your way up to Pena. 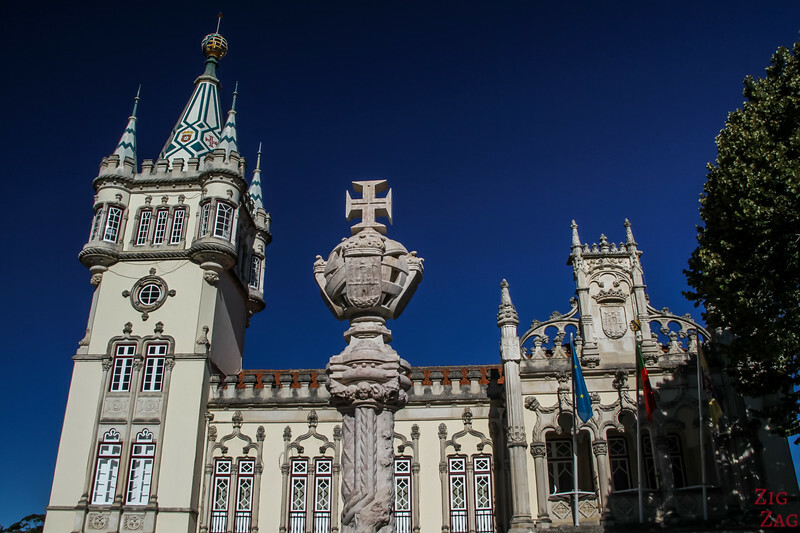 This white building with both Gothic and Manueline architectural elements used to be the royal residence. 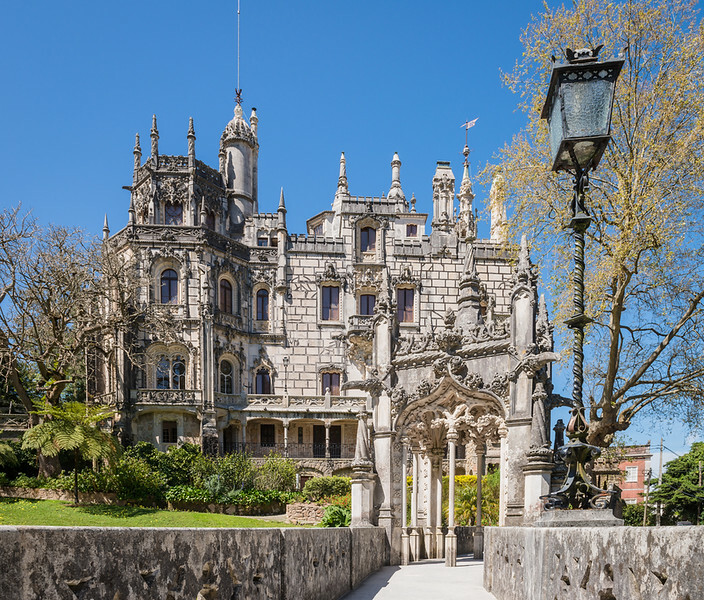 Another famous Sintra Points of Interest, this palacial villa also presents a variety of architectural elements. It has a large and well designed park you can explore, especially on a hot day. This is another of the key places to visit in Sintra. This palace is quite exhuberant in itself but it is mostly famous for its forested park with paths that will lead you to interesting discoveries. The most famous feature is the initiation wells which look like underground towers. the Convento dos Capuchos, quite a different style than anything else there. 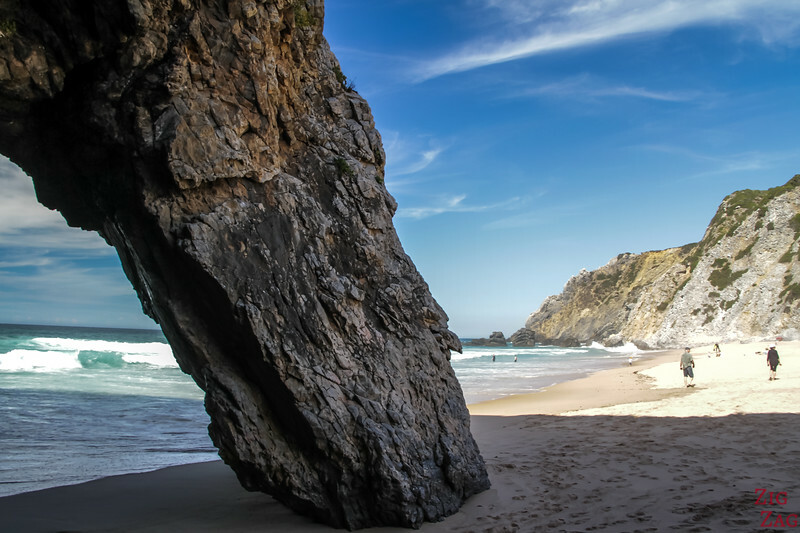 If you head west from Sintra, you will reach the Atlantic coast with amazing cliffs and beautiful beaches. This is the westernmost point on mainland. Quite a touristic place... but there is enough space for everyone to enjoy the views. However if you are planning to visit the amazing cliffs of the Algarve region, you could skip this place in comparison. A stunning beach with a beautiful arches an large rocks breaking the waves. Photographers love it! 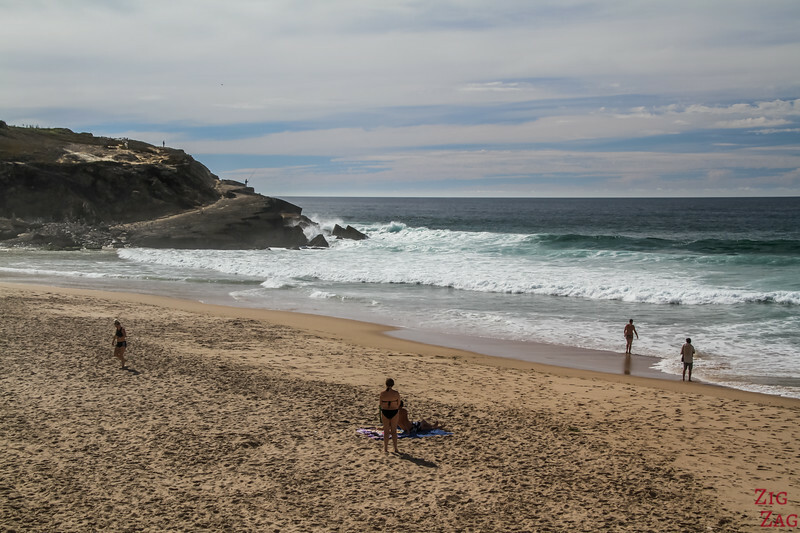 This is one of my absolute favorite beaches in Portugal. You start with a fantastic viewpoint at the end of the beach. Then you can easily access the beach and admire the solidified sand dune on your way down. This is not the most scenic beaches in the area, but the large sandy area makes it a favorite to spend a day at the beach. 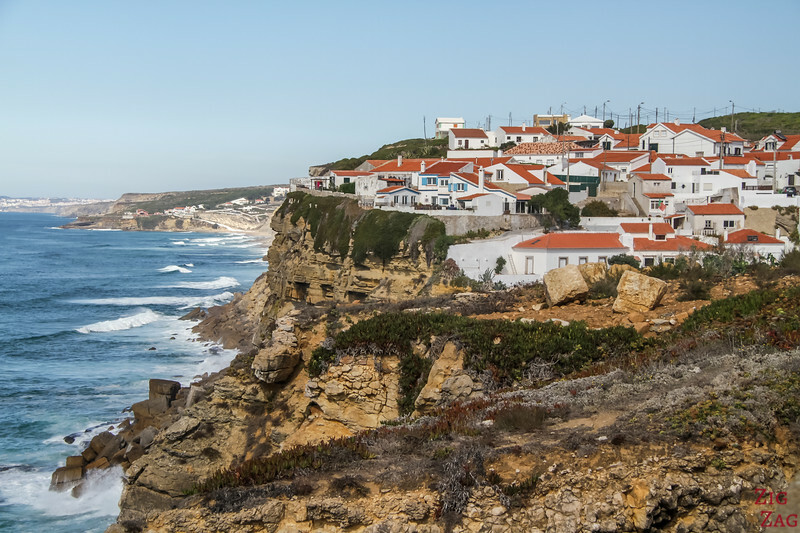 If you have time, drive the small roads along the coast and discover the many white villages overlooking the ocean. 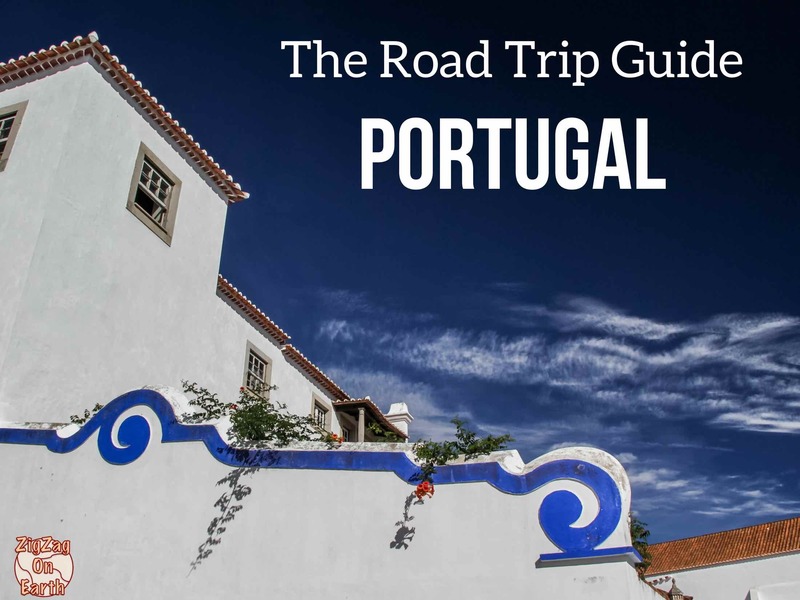 These locations, along with many other beautiful places, are included in my eBook: The Road Trip Guide - Portugal. To the South is the famous seaside resort of Cascais. 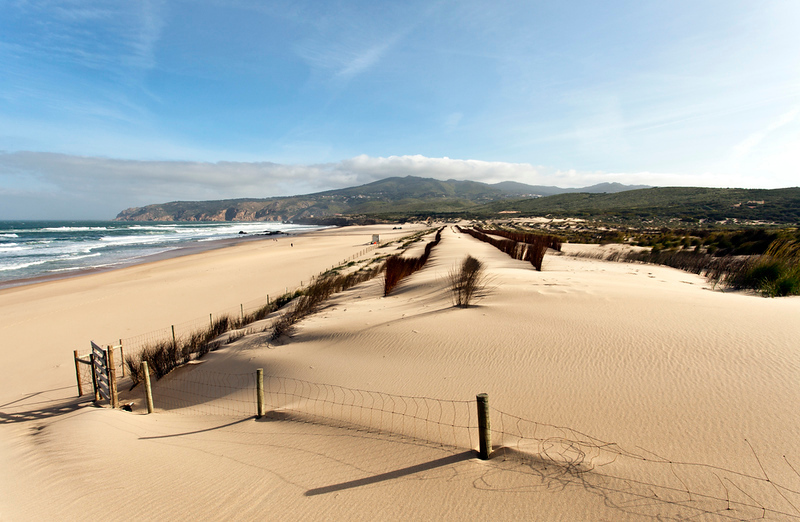 The most famous beach is Praia Grande Do Guincho​ with its sand dunes. And if you are looking for a very scenic place, and are ready to go off the beaten track, try getting to the amazing cliffs at Praia do Porto do Touro. 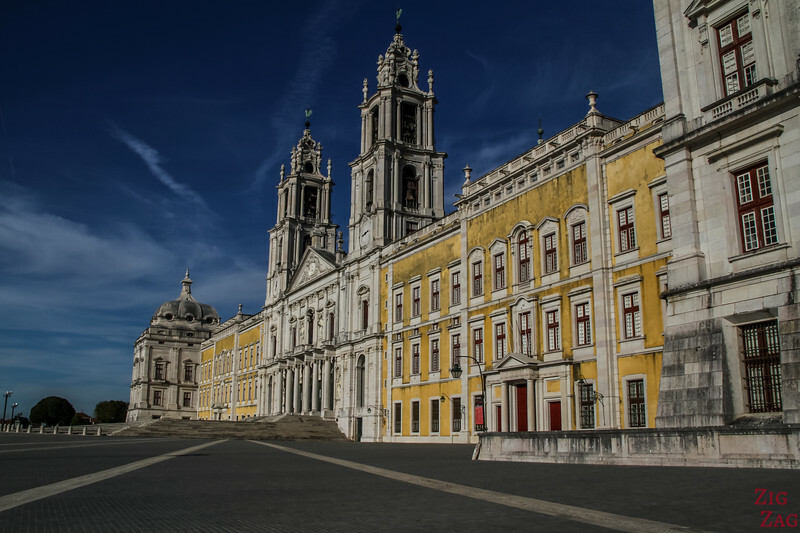 OPTION 2 - Metro-train from Lisbon or the train for the Lisbon Rossio Station and then you can take the Hop on hop off bus - one loop takes you to all palaces and the other to the coast. How long to stay in the Sintra Cascais Natural Park. If you spend 3 days in Lisbon , I also recommend spending one of the days in Sintra. The following links are Affiliates. If you book your accommodation via my link on Booking.com and actually stay there, I get a small commission at no extra cost for you. This help me run the site and keep bringing you more information. Which ones don't you want to miss?